Lanschi: Looks like it didn't come back! Panschi: Why'd you wannit to? It's evil. Lanschi: Doctor von Schmookenheim! No, wait, Kakralomino! I don't even know a Doctor von Schmookenheim! Panschi: How you gonna find out? 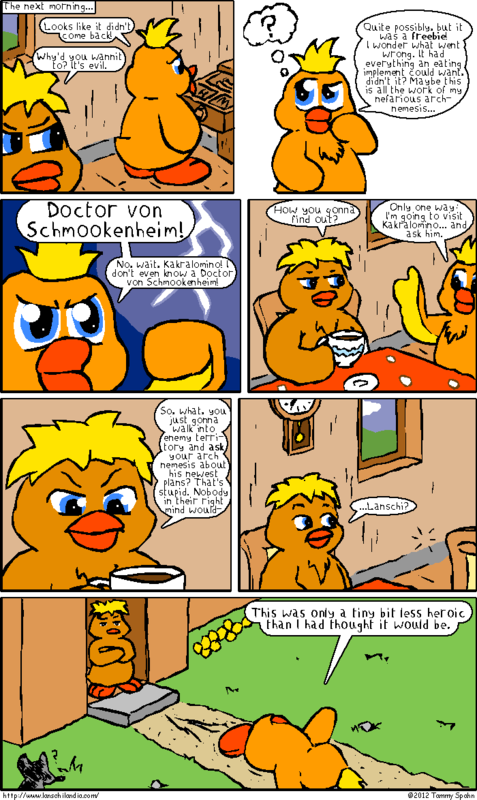 Lanschi: Only one way: I'm going to visit Kakralomino... and ask him. Lanschi: This was only a tiny bit less heroic than I had thoguht it would be.